CBG vs CBD: Whats the Difference? When most people think of cannabinoids, they usually think of THC and CBD. THC is known for giving the psychoactive effects you’d generally associate with cannabis, while CBD is known for its medical qualities. However, cannabis and hemp plants are made up of many more cannabinoids which have their own beneficial effects. One of these is CBG. So what is CBG and what’s the difference when it comes to CBG vs CBD? CBD and CBG are actually fairly similar. Both are non-psychoactive cannabinoids you can find in hemp and cannabis plants which offer a range of medical benefits when consumed. While CBD is more popular by far, CBG also has a range of effects which can help with many symptoms. So how do they differ and which is better for you? Here’s a guide to CBG vs CBD. CBG vs CBG: What Are The Differences? CBG and CBD are two entirely different cannabinoids with different chemical structures and different effects on the body. However, they are similar in many ways. Both of these are compounds found in marijuana and hemp plants. They can also be extracted from plants and consumed to get a range of positive health effects. CBD, THC, and other cannabinoids actually start as CBG. CBG is often found early during a hemp plant’s growth and is later converted into different chemical structures. However, it can be extracted early to create medical CBG products. Much like with CBD and other cannabinoids, it can be infused into oil and other forms for consumption. Much like with CBG, CBD is a cannabinoid that’s often extracted from both cannabis and hemp plants for medical use. It’s found in high quantities in these plants and is therefore extremely popular and easy to find. While both of these cannabinoids interact with the body to offer various effects, their medical benefits do differ from one another somewhat. The medical benefits of CBD are wide-ranging and well reported. There are now tons of studies into the various positive health effects CBD can have on your body. The most common use for CBD is pain relief. Studies show that CBD is a safe and effective way to reduce inflammation, lessen the sensation of pain, and speed up healing. Whether you’re suffering from a chronic pain condition, general pains and aches or severe pain from an injury, CBD can help relieve the pain. Another common use is to treat anxiety and depression. Research shows CBD helps with generalized anxiety, OCD, PTSD, social anxiety, and other forms of anxiety disorders. It also has a mentally relaxing and mood-boosting effect which can quickly take away depression and relieve stress. CBD is also extremely helpful for treating seizures in epileptic patients. Scientific evidence shows that epileptic patients managed to reduce or even eliminate seizures by using CBD. This works for various forms of epilepsy. CBD also has antioxidant, antibacterial, antipsychotic, and even anticancer effects. It’s often used by patients with skin conditions, mental health issues, and cancer. It can also help boost appetite and improve sleep. Much like CBD, CBG has various positive health effects for the body when consumed. While it can offer similar benefits to CBD, CBG is more effective for certain health issues. Research also shows that CBG has potent pain-relieving effects. It can also help with cancer- it’s shown to increase appetite in patients and can even block the growth of cancer cells according to a 2014 study. It can also help with eye conditions. Research shows it can help reduce intraocular eye pressure, which is particularly helpful for glaucoma. CBG also has neuroprotective qualities and can help with various neurological disorders. One study found that it could help protect brain health and prevent cell degeneration. A study also found that CBG is better than other cannabinoids for preventing muscle contractions. This is helpful for those with bladder issues. CBG also has antibacterial and anti-inflammatory effects, making it useful for a range of conditions and symptoms. Both CBG and CBD are extracted by plants for use in medical products. You can buy these and use them to get the medical benefits of the cannabinoids. While cannabis-based products are still illegal in many parts of the states, you can legally buy hemp products anywhere. 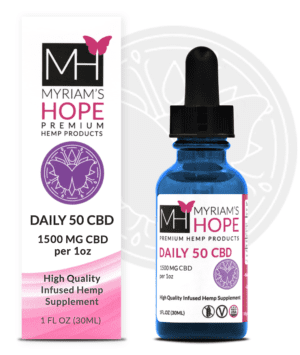 This makes all of the products on Myriam’s Hope Hemp legal to order for delivery for US customers. You can buy CBD Oil online in various quantities. If you’re only using CBD for general use, a 750mg bottle with a daily dosage of 25mg should do you fine. If you want to use it for a long time or just want to take more CBD, you’ll benefit more from Daily 50 CBD or even Daily 100 CBD which contains 3000mg in each bottle. Likewise, you can also buy CBG Oil online. These products are made with 600mg of CBG extracted from hemp, making them very safe and legal to use. You use CBG and CBD Oil in the same way. Fortunately, they’re very simple to use for people of all ages and conditions. Each bottle comes with a dropper which contains a certain amount of oil. You use this to apply the oil under your tongue. Hold the oil under your tongue for around 30 seconds to a minute. This will absorb the cannabinoids into your body, where they’ll take effects. These products absorb and work fast. In some cases, you’ll get the effects you need immediately, such as pain and anxiety relief. Some effects of CBD/CBG take a while to build up in your body, so taking regular daily dosages is recommended for various symptoms. 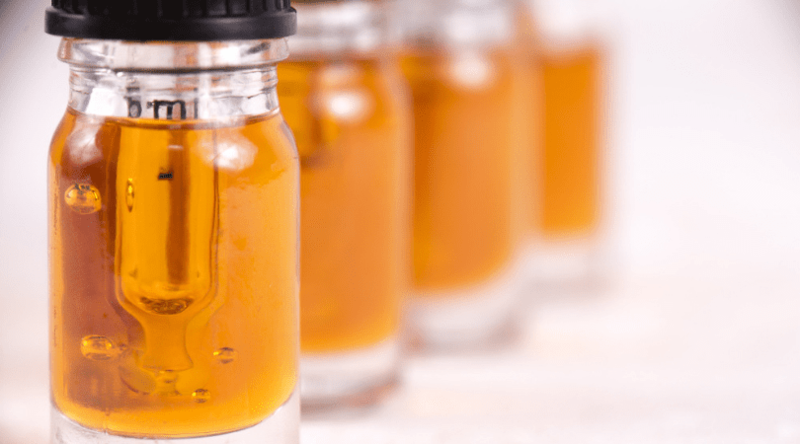 CBG vs CBD: Which Should You Use? So when it comes to the choice of CBG vs CBD, which is better for you? Both of these cannabinoids have many benefits, and even provide some of the same effects such as pain relief and boosting appetite. CBG may be better for eye conditions and bladder issues. CBD is more commonly used for things like anxiety, depression, and preventing seizures. Both can be effective for reducing pain, treating cancer, and protecting brain health. CBD and CBG can actually work best in unison with each other. Using both together is safe and has an ‘entourage effect’, with both giving you a ton of overall benefits to improve and protect your health. CBDA vs CBD: Whats the difference? 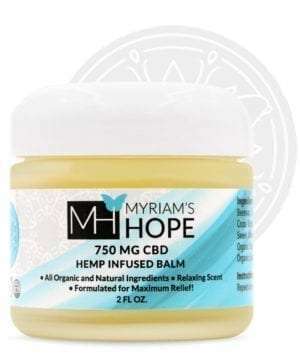 © 2018 MYRIAM'S HOPE HEMP - ALL RIGHTS RESERVED.